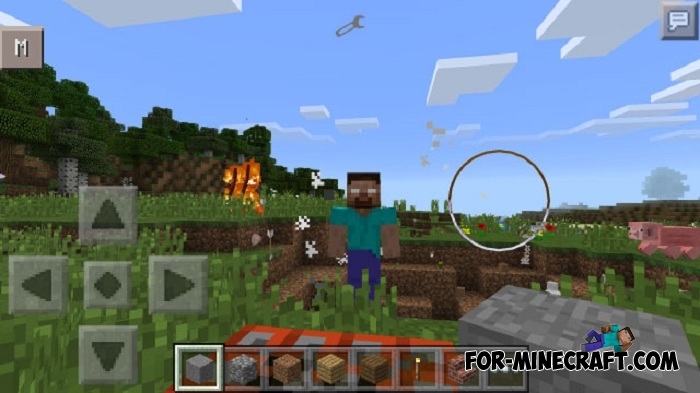 Herobrine Mod adds a new character with white eyes in MCPE. Currently there are 3 attacks: RoundhouseKick, Burn and Herobrine. The first attack throws you in a random place with a random power. The second attack ignites you for 2-4 seconds, and the third one spawns 1-3 Herobrines which cause the damage (7 hp) and have 5 health hearts. Added debug command - / hb. The attacks now occur in succession: Herobrine will use a random attack every 30-120 seconds. Totem activation is totally like on the PC version of Minecraft. The ability to change the configuration ( '*.modpkg / script / script.js', config variables in '* .modpkg / Info.txt'). Ability to set custom blocks of totem. Ability to change the attack power. The effects when you activate the totem similar to the PC version. The data is now saved for each separate world and the will not be reset after exiting the game. Textures from the PC version. 1. Craft a totem block. 2. 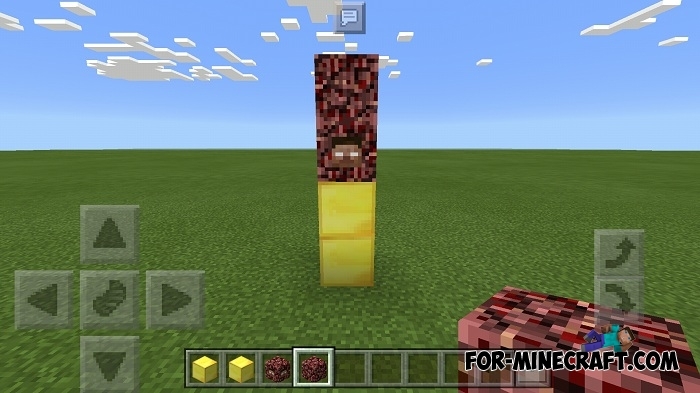 Build the Herobrine totem by the following structure. 3. Ignite the upper block. 4. It starts to rain and you see the message - "You do not know what you did ..." Now Herobrine will attack you. To install, use the latest version of Bl.